The members of the Hexagon Ensemble always look for cooperation with others. This can be with actors, painters and dancers, but also with fellow musicians. In this program, the Hexagon Ensemble is expanded with four string players in a surprising classical/romantic program, in which well known repertoire is combined with a selection of lesser known works that clearly should be better known. Let yourself be surprised! Mili Balkirev s tudied composition with Mikhail Glinka. 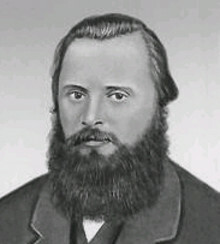 Partly inspired by Glinka’s opera’s based on Russian themes, Balakirev strived to establish his own “Russian school”, ridden entirely of its European influences. He did this together with likeminded colleagues such as Moussorgsky, Rimski-Korsakov, Borodin and Cui – together described as “the Mighty Handful”. These days, Balakirev is particularly remembered for being the founder of Russian’s national academy for composition. Aside from many works for piano, he only wrote one piece of chamber music. And that one piece is included in this program: Balakirev’s Octet for wind players, string players and piano Opus 3, of which only the first movement has survived. In this allegro molto, Balakirev trust the wind and string players with the most melodic material – with beautiful solo’s for almost all instruments – while the pianist is occupied with a very virtuous piece reminiscent of Chopin. On the basis of the ambitious nature of the first movement – the only one that survived – the complete work must have been of symphonic proportions. His teacher Glinka was extremely enthusiastic about this work by the young Balakirev. In the history of classical music not many nonets have been written, but within this genre the Nonet Opus 129 by Josef Rheinburger is considered unequivocally to the very finest one. Liechenstein-born Rheinburger spent most of his life in Munich, where he worked as organ player and choir director. As teacher of composition he was affiliated for over forty years with the then Royal Conservatory of the Bayerish capital. Here he was part of the “Munchener Schule”, which included amongst others Ludwig Thuille. 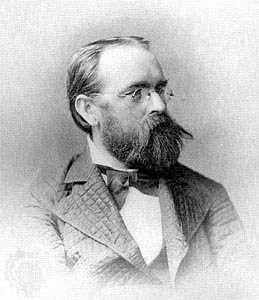 Rheinberger’s nonet consists of four movement. The opening is strongly reminiscent of Beethoven. The second movement refers to an Eighteenth century Menuet. The adagio, then, forms the focal point of the whole work with its beautiful and expressive melodies en harmonies. The finale is full of lively and crafted melodies and seems to bear a strong resemblance to the style of Felix Mendelssohn. 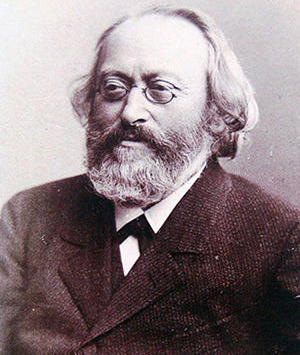 The German composer Max Bruch was the son of a civil servant in Cologne. His mother gave him his first lessons in music, which led him to premiering his first symphony when he was only fourteen years old. After his studies at the conservatory, he became a celebrated conductor in Germany and Liverpool. Bruch composed his Acht Stücke opus 83 for his son Max Felix, an excellent clarinet player. The work originates in 1910 in Berlin, during a time in which many composers where searching for new directions. But Bruch wrote these minitatures in a completely romantic idiom, utilizing a refined instrumentation and lyrical, singing melodies. He found his inspiration for this work particularly in the Märchenbilder en Märchenerzählungen written by Robert Schumann. All eight pieces have a programmatic character and each tell their own story. Of the total Acht Stücke this program includes two, the Rumänische Melodie and the Nocturne. Mozart composed his Piano Concerto No. 24 KV 491 in the winter of 1785-1786 and finished it on 24th March 1786, three weeks after the completion of his Piano Concerto No. 23. The work premiered in early April 1786 in the Burgtheater in Vienna. The three-movement Piano Concerto KV 491 is one of the two piano concertos that Mozart wrote in a minor key. 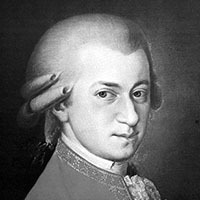 While Mozart’s concertante music usually is written in major, the pieces that he is most renowned for are those written in minor. The minor keys of these works usually have a kind of tension, which, despite the conventions of a concerto, breathe the atmosphere of theatre and opera. This applies not only to his Symphony in G Major KV 550, but also for the Piano Concerto No. 20 in D Minor. This concert, with a remarkably finetuned score for the woodwind players, betrays not only Mozart’s fine instinct for theatre, but also his affinity with Bach and Händel. Other great composers, especially Ludwig van Beethoven and Johannes Brahms, were great admirers of this beautiful concert by Mozart. Mozart’s piece is played in this program in an arrangement made especially for Hexagon by horn player Christiaan Boers.